It was such a thrill to finally see this stone at Maumanorig. I tried to visit on my last trip, but the presence of several young bulls prevented me from entering the field. This is a wonderful cross-inscribed ogham stone. 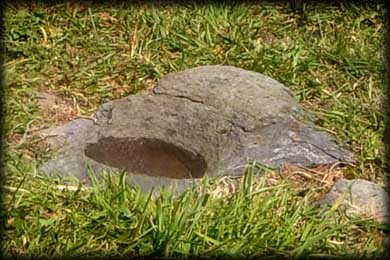 The irregularly shaped stone is over 1 metre tall and about 1.5 metres long. The west face bears the ogham inscription and two crosses. The largest of the crosses is really stunning. 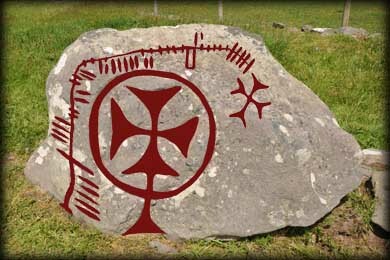 The ogham reads ANM COLMAN AILITHER meaning 'Name of Colman the Pilgrim'. the Pilgrim. The early Christian church site in which the stone stands is known as Kilcolman. Beautifully situated with views over Ventry Harbour and out to the Skelligs, the site consists of a large circular enclosure and contains the remains of several hut sites and a possible church. It was used as a Calluragh burial ground until the 19th century. 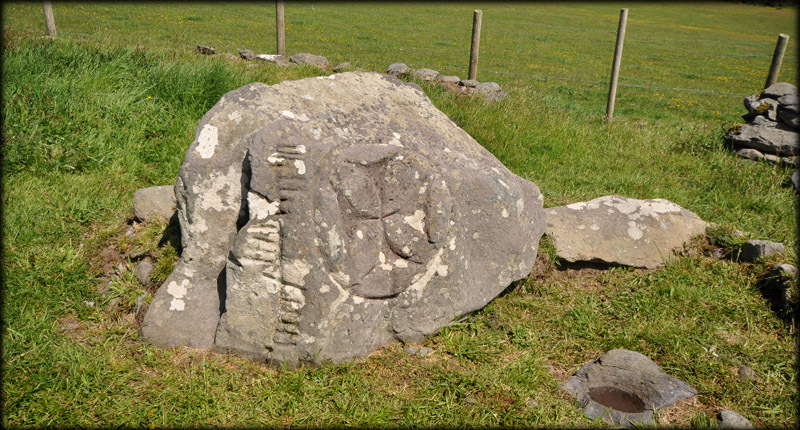 The Archeological Inventory for Dingle lists a holed stone, a small cross inscribed stone and three bullauns at the site, but I only found one large bullaun, see image above, situated in front of the ogham stone. 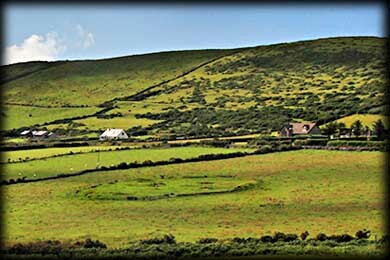 A superb site situated along the Saints Road, a pilgrimage route that runs from Ventry to Mount Brandon. Situated: From Ventry head northeast passed the post office. At the T junction turn left. After 1.6 kilometres you will come to a farm gate on your left. The site can be seen in the field looking south. Check for bulls in the field. Discovery Map 70: Q 3856 0171. Last visit May 2013.